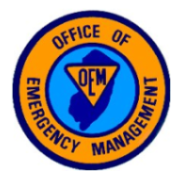 The Office of Emergency Management is monitoring a coastal storm which will affect the region beginning tonight and continuing through Wednesday night. At this time, 5 to 10 inches of snow is forecasted. The Township of North Brunswick advises residents to remove their vehicles off the street in order for DPW crews to clean the roadways and make it safe for the public. Residents who live on a designated Snow Emergency street must remove their vehicle from the street. A complete list of Snow Emergency and partial Snow Emergency streets may be found at www.northbrunswicknj.gov/snow/snow-emergency-streets. Due to the heavy, wet nature of the snow, along with gusty winds expected (not as bad as the last coastal storm), there is a threat of downed trees and power outages. To report downed wires or power outages, call PSE&G’s Customer Service line at 1-800-436-PSEG. Please be sure to charge your cell phones and have flashlights available in the event of a power outage. The wind will also lead to blowing and drifting snow which will reduce visibilities. Township OEM will provide further updates as conditions warrant.